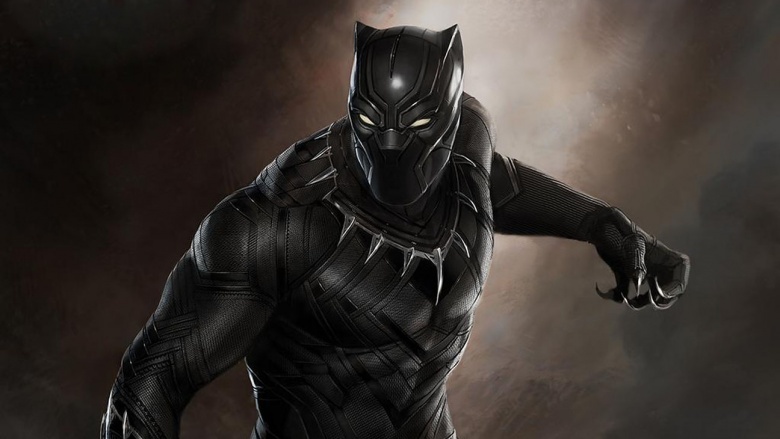 Marvel introduced Black Panther in 1966, yet in spite of his long history in the comics, he only recently made his Marvel Cinematic Universe debut. 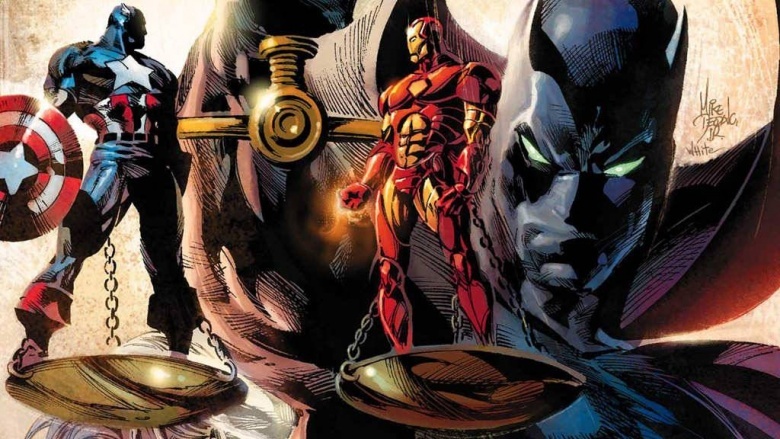 As the king of Wakanda, the guy gets around, is Tony Stark rich, and has some pretty solid powers to boot. But what's the real story behind the man who calls himself Black Panther? 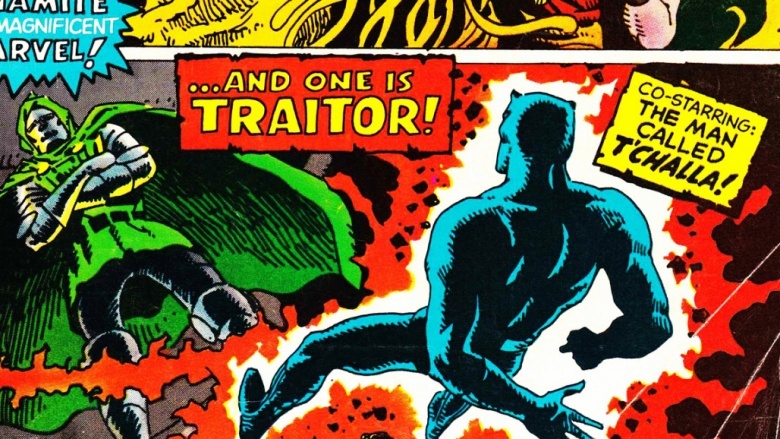 As is the custom in superhero comics, Black Panther made his first appearance acting like an absolute jerk. In Fantastic Four #52, he sends a fancy flying car to pick up Mr. Fantastic and his brood and bring them to Wakanda, but once the family arrives in the highly advanced nation, Black Panther immediately attacks them. It's quickly revealed that he was only using the FF for training (despite its incredible technology and literal forests made of machines, Wakanda apparently lacks any kind of exercise equipment). While all this is going on, Panther's resource-stealing archenemy, Klaw, reveals his plans to plunder the nation's supply of vibranium; in spite of the terrible hospitality, the Fantastic Four chip in to help eliminate the threat. 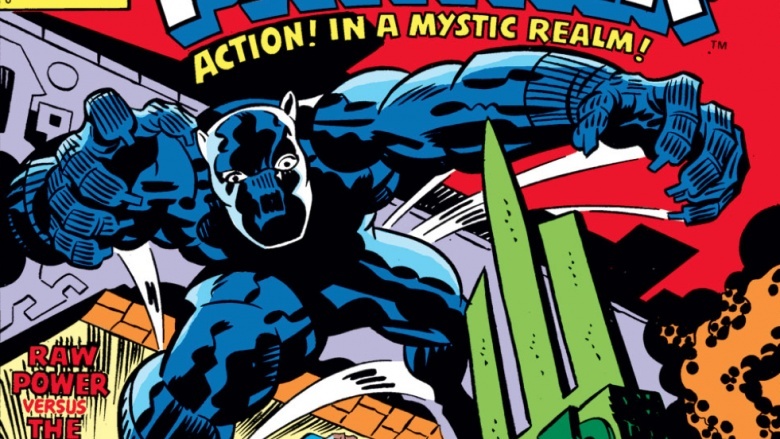 Black Panther's debut marked a milestone for racial equality in comics, as there had never been a major African hero in mainstream comics before. With the American civil rights movement in full swing, even a fictional expression of racial equality was extremely important to a younger comic audience. 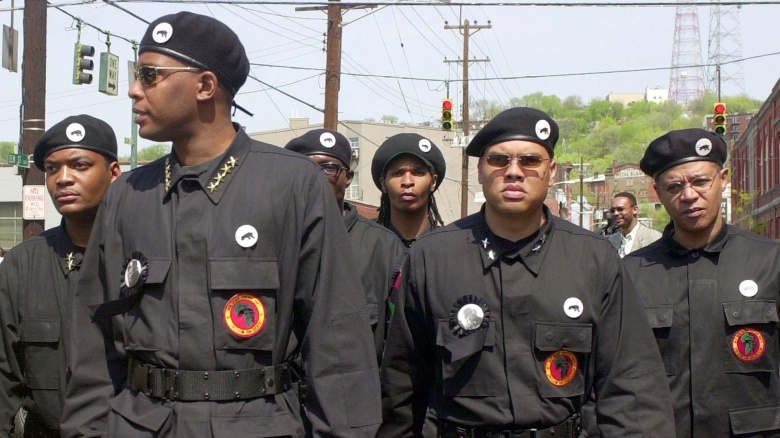 It was only a few months after Black Panther's first appearance that the completely unrelated Black Panther Party came together, leading to some confusion about the relationship between the hero and the organization. In 1974, Black Panther tried going by Black Leopard to escape the "political connotations" of his name, but it didn't stick. Black Panther's alter ego, T'Challa, is one of the richest guys in the world, thanks to Wakanda's deep reserves of the precious metal vibranium. Still, he's not above playing a game of baseball. After visiting New York with the Fantastic Four, Black Panther decided to join the Avengers by breaking into their tower. Greeted by a hail of defensive laser fire, he immediately has his feelings hurt—obviously forgetting how he greeted the Fantastic Four—before stumbling across a bunch of apparently dead Avengers and finding himself accused of murder. Of course, they weren't really dead, just sapped of all of their vital signs by a villain known as the Grim Reaper. Panther saved the ailing Avengers, nearly getting his shoulder blasted off in the bargain, and ended up joining the team. 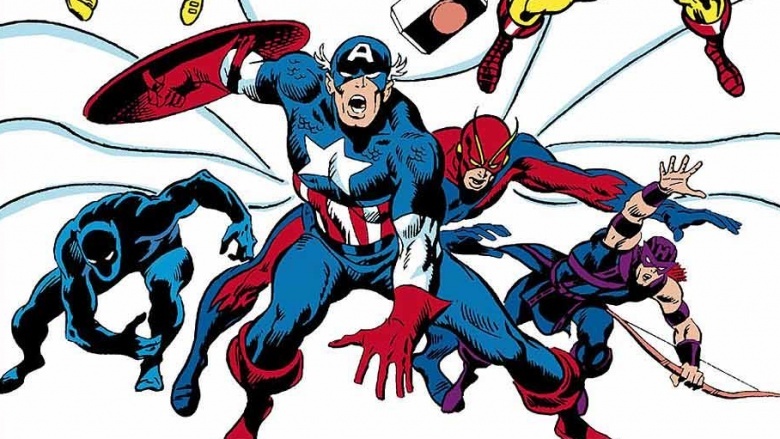 Panther hung with the Avengers for a few years before embarking on his first solo adventures. 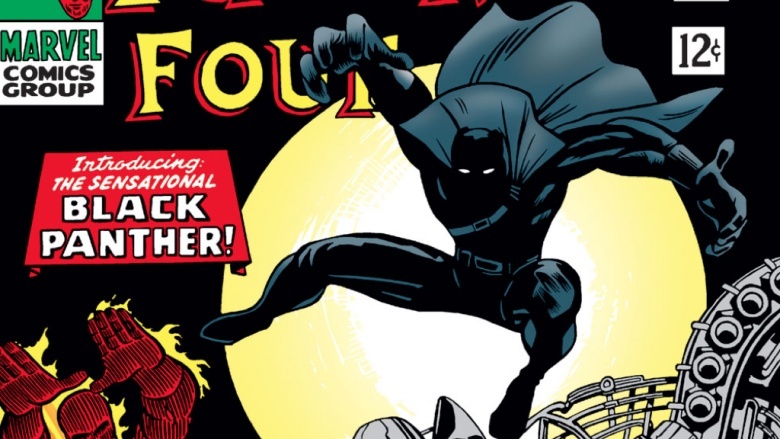 Making his standalone debut in Astonishing Tales #6, Panther returned to Wakanda after being alerted to Doctor Doom's attempt to steal the country's vibranium. After a short battle, Black Panther threatened to destroy the nation's entire reserves of the precious ore—proving he'd rather put his country in poverty than give in to Doom. His kingly arrogance impressed Doom, who already had the throne in his native country of Latveria, and he briefly considered making Black Panther an ally. While Panther was off being a superhero in the U.S., Wakanda needed a king, so he put M'Baku, a powerful warrior, on the throne in his absence. M'Baku grew pretty fond of the crown and decided he didn't feel like stepping down—so he assumed the persona of Man-Ape, leader of the powerful White Gorillas, and attempted to steal leadership of Wakanda. After a one-issue battle, Man-Ape was crushed by an enormous stone panther totem; of course, because these are the comics, he later returned and joined the Lethal Legion alongside Grim Reaper, expanding Black Panther's gallery of deadly rogues. Panther started a relationship with musician Monica Lynne, and the couple divided their time between Wakanda and Georgia, USA. During a visit to Monica's hometown, Panther got caught up in KKK business, saving Monica multiple times from their attacks—as well as a slightly-too-permissive local sheriff. 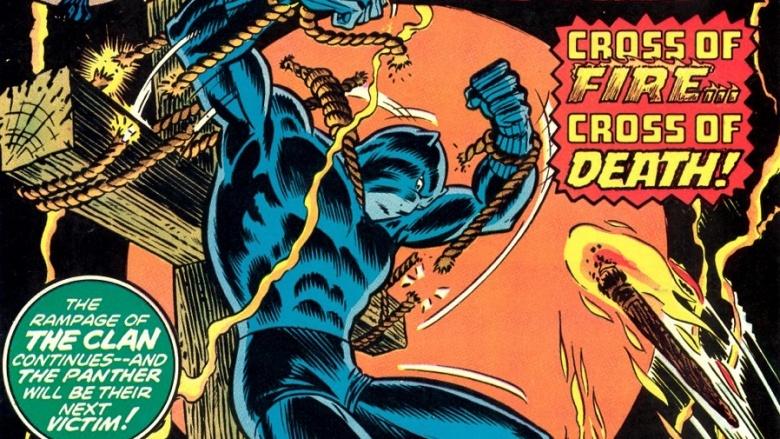 By issue 21 of Jungle Action, Black Panther was strapped to a burning cross and surrounded by men in white hoods. It's probably the darkest moment in the character's history, and even after he escaped and eliminated the immediate danger, it was clear that the Klan wasn't going anywhere anytime soon. It's a moment in comics that proved the real evils of mankind can be just as vile as any superpowered villain. 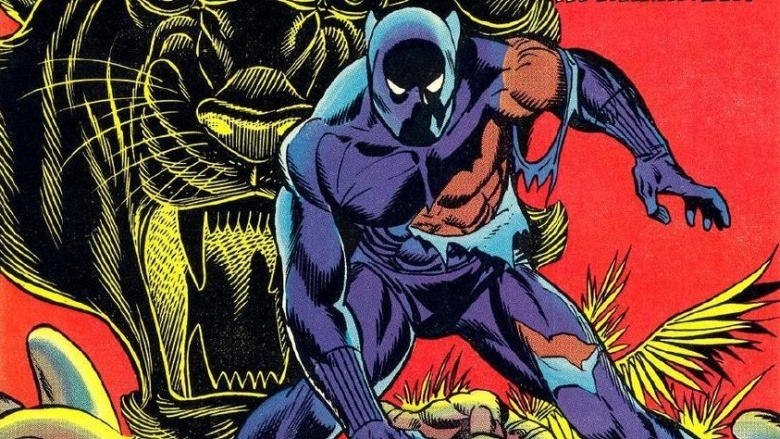 The first Black Panther miniseries is where the character's history took a turn for the truly weird. Teaming up with a stout little millionaire man named Mr. Little, Panther embarked on a quest for a golden frog artifact. (Sure, Black Panther is a trillionaire and has better stuff to do, but golden frogs it is.) As it turned out, the frog opened a portal 6,000 years into the future, unleashing an angry alien. 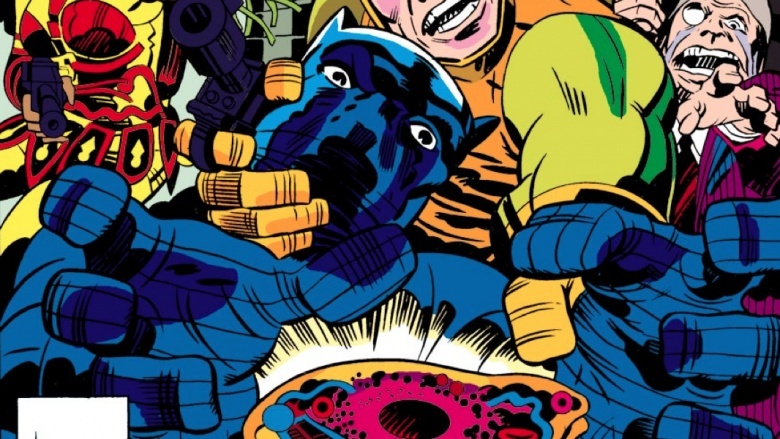 It's a very Jack Kirby adventure, and it marked a huge departure from the serious tone that Black Panther's comics had taken in recent years. The ramifications of this absurd, off-brand miniseries wouldn't truly be felt for another 25 years. It was revealed in Marvel Team-Up #100 that Black Panther had a history with Storm of the X-Men—a connection dating back to when Storm was only a teenager named Ororo on a walkabout in Africa and Pather was still only Prince T'Challa. This retcon planted the seeds for the characters' eventual marriage 26 years later, which took place right in the middle of the superhero Civil War. Even Man-Ape peacefully attended the 2006 ceremony, getting drunk at the reception. 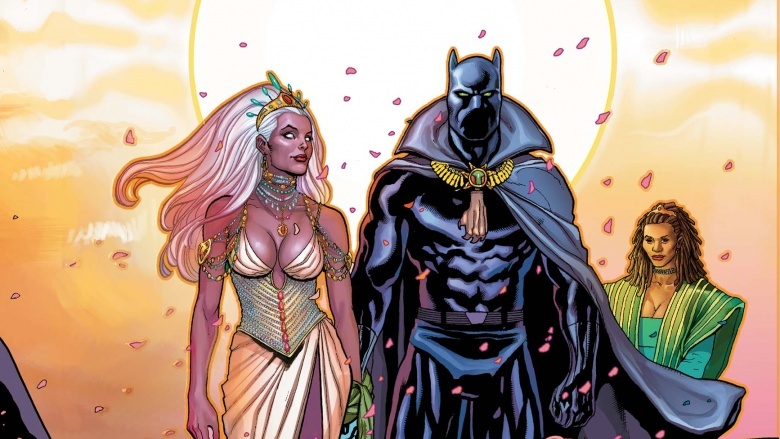 Sadly, Black Panther's wedded bliss wouldn't last long. 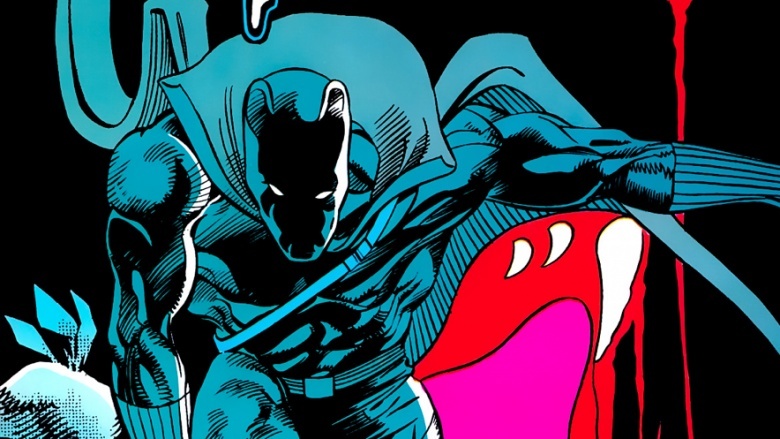 In 1988, Black Panther was attacked in Wakanda by an actual black panther, leading his people to believe that the panther god had abandoned him—which, by jungle law, meant he was no longer king. The country fell into disarray, a violent panther-man stalked the lands, and the Supremacists (a group just as awful and mullet-y as they sound) were called in to deal the final blow to Wakanda. Ultimately, the whole thing was revealed to be a racist plot, ending with T'Challa narrowly avoiding being killed by his own panther god avatar. Remember those golden time-travelling frogs? Marvel needed to find a way to explain the strangeness of their errant miniseries and came up with a story that revealed the frogs actually split Black Panther in two. The mainstream Marvel Universe got stuck with a rather dour T'Challa, while an errant splinter of past reality got a Panther who was always in a really, really good mood—due in part to an inoperable brain aneurysm. "Fruity Pebbles" Panther, as he was once called in canon, had some good times and tangled with Asgardians before finally succumbing to his ailment. Soon after, dour Panther realized that he too had an aneurysm, due to being punched really, really hard by a mind-controlled Iron Fist. It's all the equivalent of Marvel saying, "Sorry about that. Brain damage. Carry on." 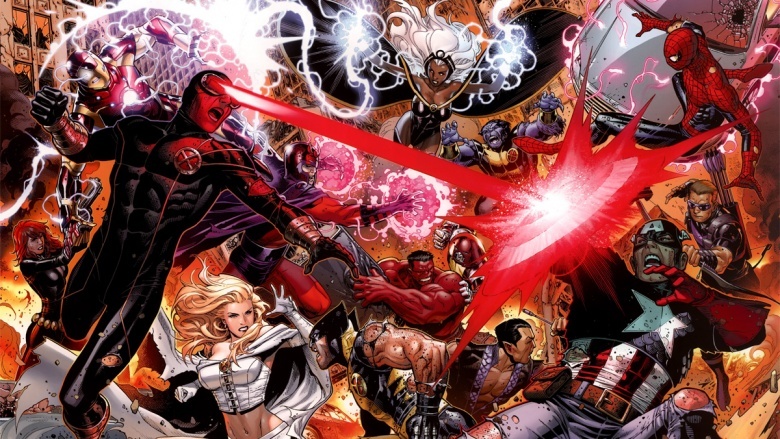 A whole lot of bad stuff went down between the Avengers and the X-Men in 2012: the Phoenix Force returned to Earth and gave the X-Men insane powers, and they started to see themselves as gods. The Avengers tried to rein all this in, triggering a conflict that had shades of Civil War all over again. Namor tore a hole straight through Wakanda using his new cosmic powers, and Black Panther immediately ended his marriage to Storm, using his sovereign Wakandan priest powers… which aren't quite as cool. It was unceremonious, kinda cruel, and nobody was happy about it. As threats against life itself grow more intense, Marvel's most powerful heroes occasionally convene in secret to discuss how things should go down, all without the knowledge of most of Marvel's everyday heroes. It's shady business. When Black Panther decided to re-form this disbanded group—dubbed the Illuminati—after seeing an alternate-reality Wakanda being destroyed, only the best and brightest were invited… and they started to take some pretty extreme, murderous measures to protect Earth from colliding alternate realities. Black Panther eventually succumbed to his better nature and tried to put a stop to it, but Namor, ever the warrior, violently opposed his efforts. Like just about every major Marvel hero, Black Panther faces a seemingly never-ending series of challenges, whether they're threats from outer space or just plain ol' Earth racism, and it's unlikely he'll find lasting happiness anytime soon. But hey, at least he's getting his own movie.